I recently opened a In home childcare. I am wanted to provide a curriculum for the infant to preschool children in my care. I do not have a lot of money to spend on purchasing a curriculum. I visited your page and found several helpful ideas. 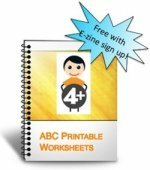 Is there a free preschool curriculum that I can follow, other than what you have on your page? Congratulations on opening a childcare center at your home. There are many homeschool preschool curriculum programs available but it is not necessary to purchase them. You can find lots of great information on the internet or great books at your local library. You can follow my list of themes from the website. Each unit can take anywhere from one to two or even three weeks to complete. Do not feel the need to spoon feed the children the information. At this age you want to expose them to many experiences that are tactile and make them use all their senses. For example, begin by thinking creatively about painting. What instruments can children use to paint with other than their hands or a paint brush? How about sponges, a mop, strings, marbles. The curriculum is a guideline of themes but ideally you will be taking the lead from the children and their interests. Another example is, you go on a nature walk or even in your back yard and the children show interest in the tree. You can begin exploring what are trees made out of? What are their parts? There are different types of trees some give us fruit... You might continue (if the children are interested) to learn about different fruits, their shapes, colors and so on. Perhaps they will want to continue learning about trees and things you can make out of trees. In that case you will open a wood work section in your daycare and bring in pictures of chairs, tables even paper is made out of trees. Of course while exploring the topic of trees you can create counting games for math, measuring games, movement games, dramatic play, various books and songs about trees. This topic can last you all the way from September to June since you can follow your tree in all the seasons. And the beauty of it is that the interest came from the children and therefore it is more meaningful to them. You can refer to my milestones sections for game ideas in different areas of child development. Regarding your second question, I am a strong believer in having books around and lots of them. I would not limit the books only to the library space but I would also put them in other places around the house. Most of our books come from book sales at our local library and elementary school. They usually sell each book for only $1 so it is a great saving.